Submitted by lynn on Friday, September 14, 2018 - 6:04pm. 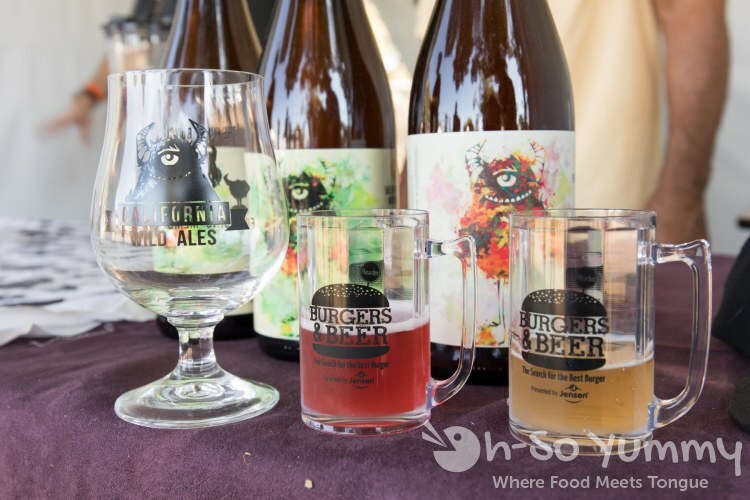 This year's Burgers and Beer was Saturday September 8 from noon to 4 (VIP) or 1 to 4 (GA). We were able to get in one hour earlier as part of media hour. We were handed our voting ticket and needed to find ourselves a winner. 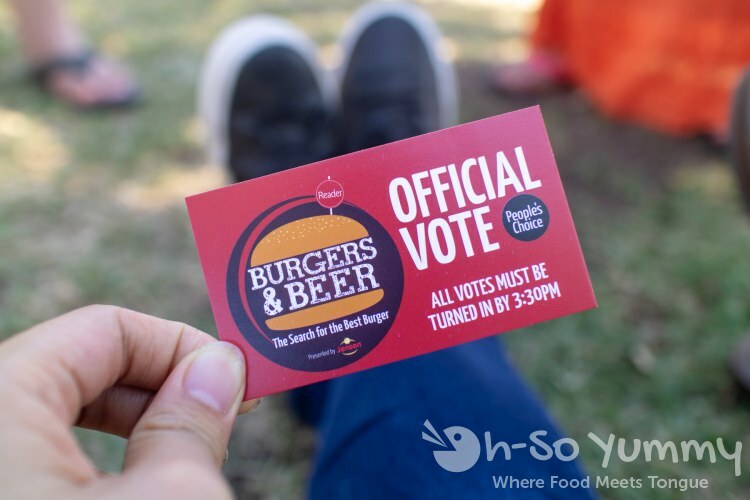 Our strategy was to eat burgers first while the crowds were smaller, then go for the drinks! This worked out really well and we tasted every burger! 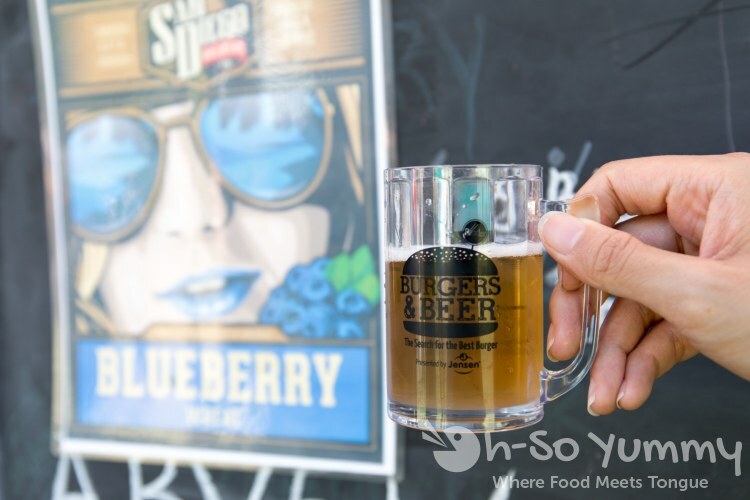 Below are highlights from both the burgers and drinks. 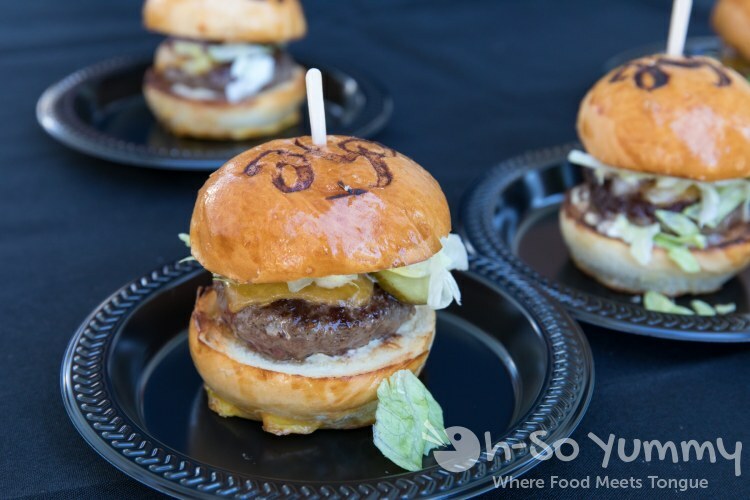 This Hundred Proof burger was in partnership with Trust Restaurant. 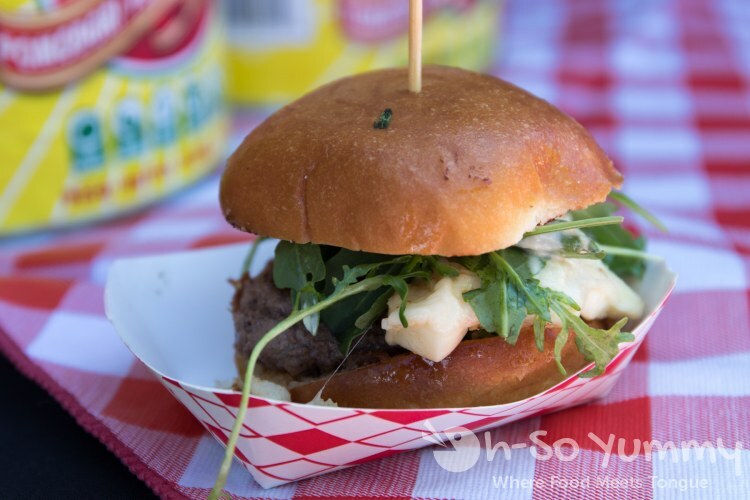 We thought it to be a very solid burger with English cheddar, a handstamped bun, and seasoned meat. Plus, it was one of the first restaurants ready to serve at the beginning of media hour! 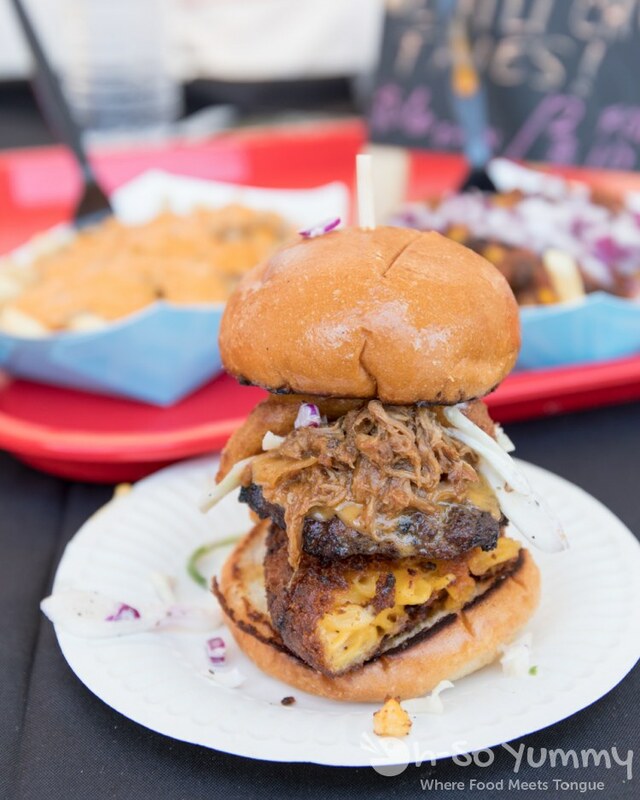 Funky Fries and Burgers brought their crazy mac and cheese burger again! I loved it this year but Dennis thought it was too complicated! We were surprised to see fries for sale during this event. 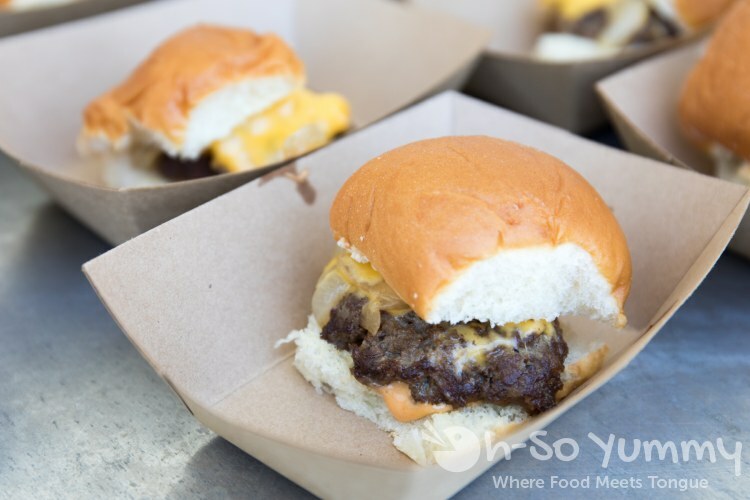 Why would we purchase this filler food when there were plenty of burgers already included in admission? 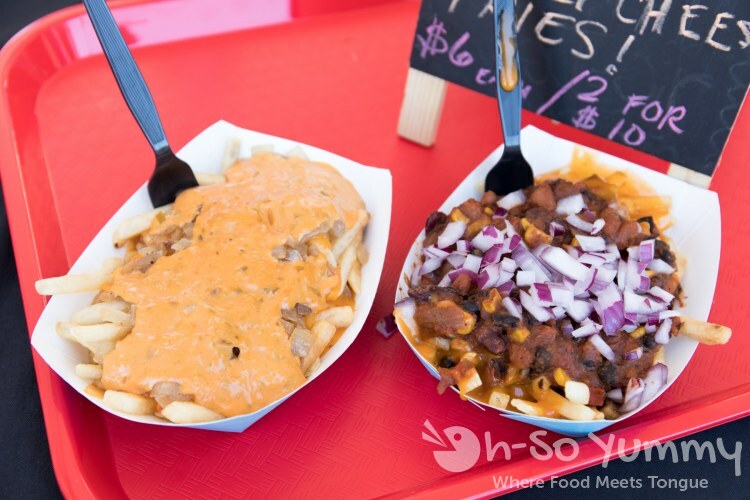 Obviously, if someone likes fries with their burgers, this was the spot to hit! Even though this burger looked simple, it was perfectly seasoned, scrumptious bite! The Hills Pub got second place last year and we can see why! Davanti Enoteca put together a very yummy burger and the arugula seemed to fit well (usually I'm not a fan). I loved the brie-like cheese in here! 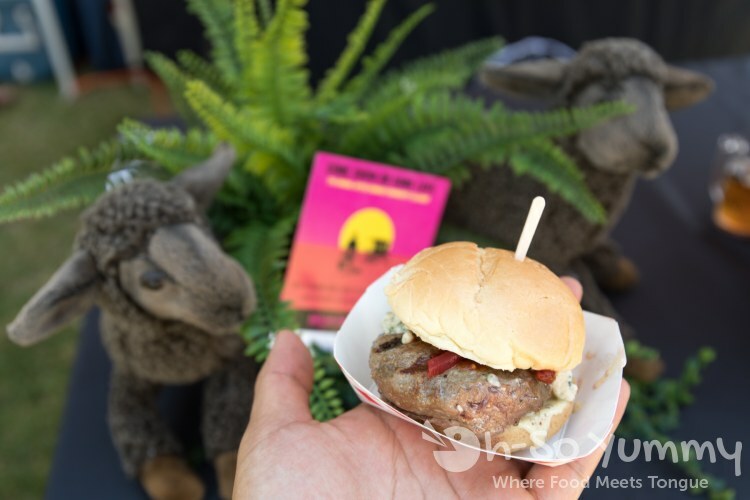 This lamb burger was delicious with its feta and bell pepper add-ons! The restaurants that serve this include Dunedin and its sister restaurants with New Zealand cuisine. We're due for a revisit to some of those spots! Backyard Kitchen and Tap won Reader's Choice! 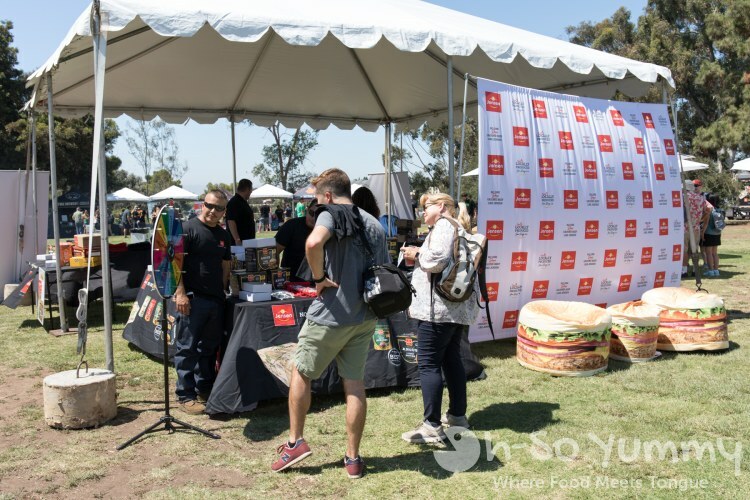 This is the first time I've seen a vegan burger at this festival! We had this Impossible burger early on during media hour. 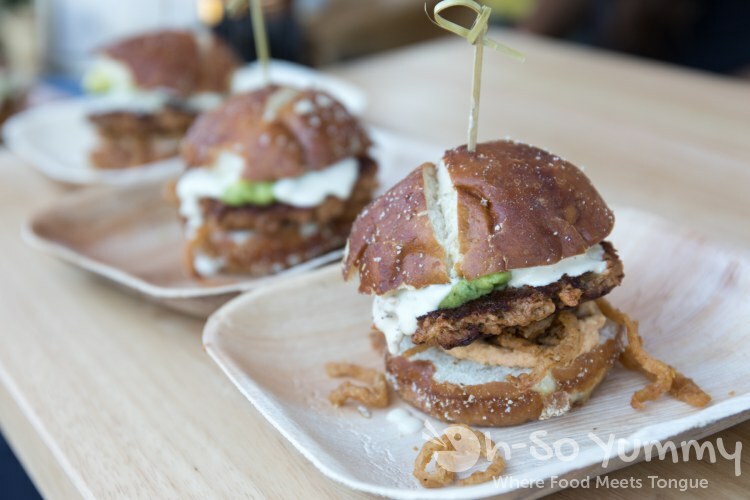 Although it was tasty for non-meat, we were a little thrown off by the chilled pretzel bun... I like my burgers to be at warmer temperatures! Mushrooms and bacon just make it a perfect treat! 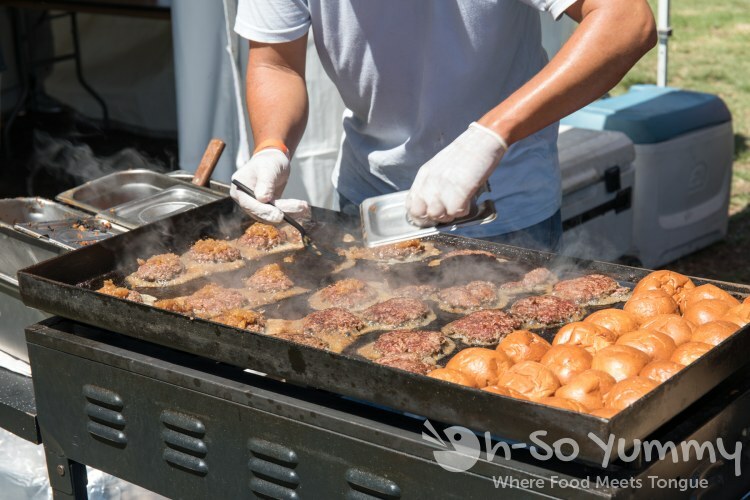 Here's an action shot of Pure Burgers working the grill to feed the masses! Dennis told me this ONE guy was taking care of serving everyone at his booth! What a hard worker! 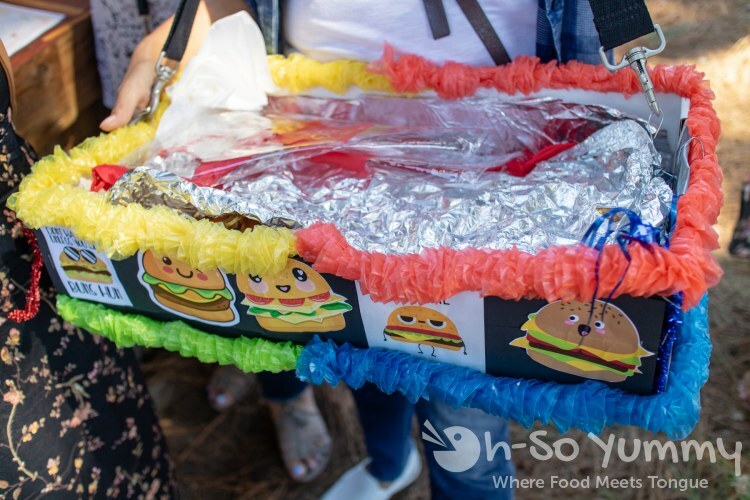 Wow, check out this custom burger holder! I love this girl's burger outfit. I really do need to get some food-themed socks for fun haha! 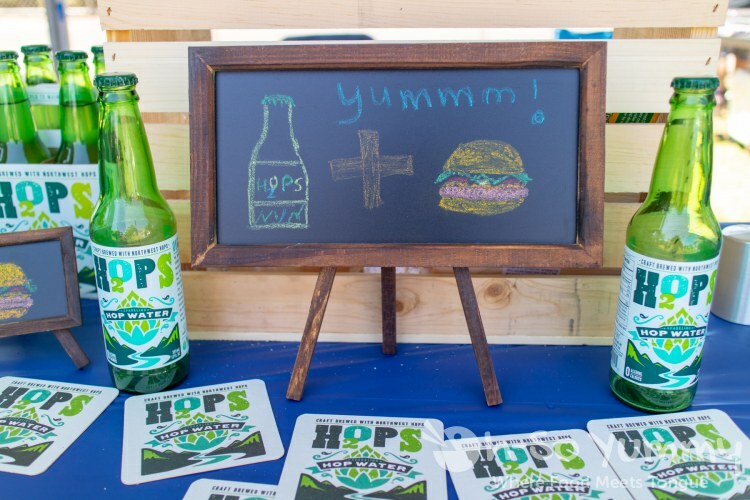 There were more beer tasters than food! I walked around the whole park, getting a taste of what interested me (non-IPA's). I must have tried 15+ drinks that day! Below are a few of my favorites. One of our favorite ciders was the Pear flavor from Julian Hard Cider which tasted like a refreshing mojito on that hot day. 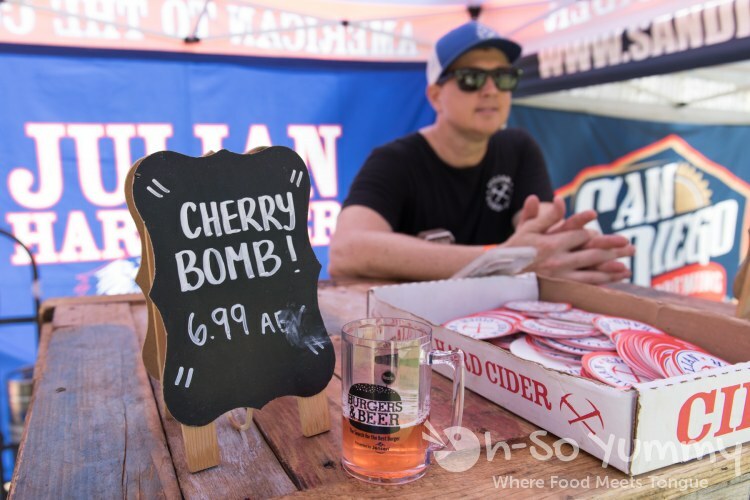 They also served their cherry bomb, which had a little of that cherry tart to it. I've never tried wild ales before! Even though California Wild Ales were too sour for my taste, I learned a bit about the brewing process from the guys working the booth. 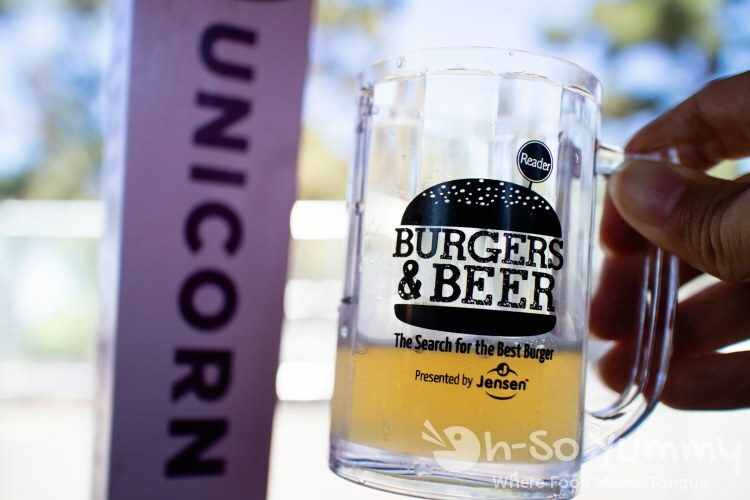 Unicorn ale! I like this photo I took! 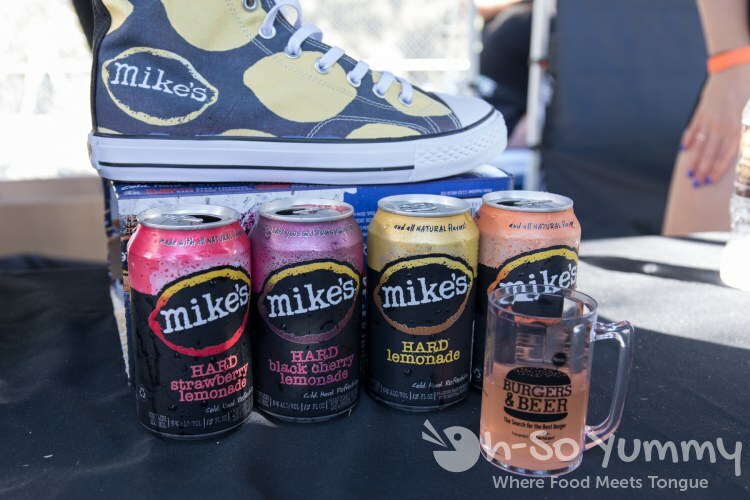 I love me some girlie drinks and honestly, Mike's Hard Lemonade totally fits the bill! The strawberry and black cherry flavors were really satisfying and I went back for seconds! 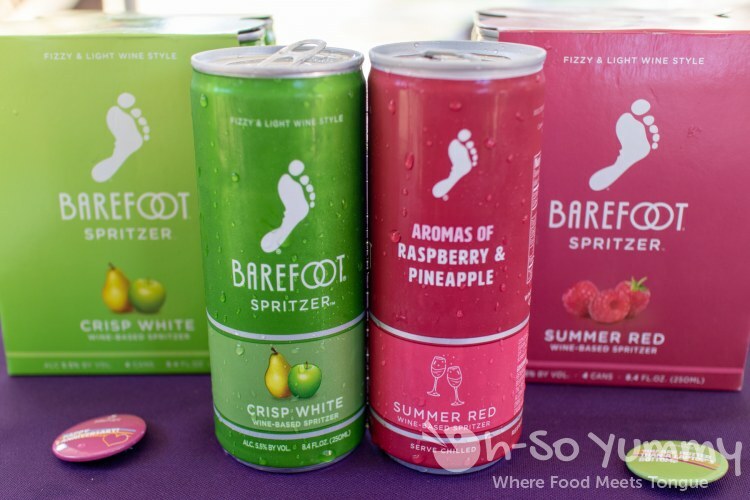 Another tasty drink was the summer red by Barefoot Wines. So refreshing on a hot day! 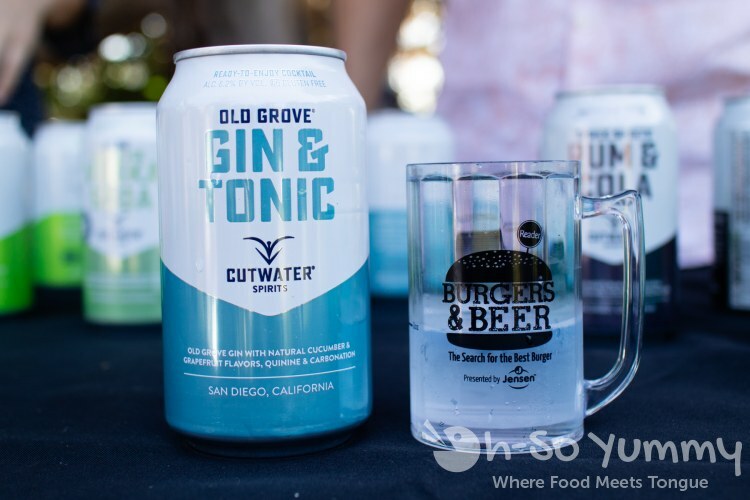 Cutwater Distillery had their mixed drink cans. The gin and tonic was the one I enjoyed the most! There were a few non-alcoholic drinks available too. Besides the free water bottle passed out at the entrance, we found this hop water which was non-alcoholic. It gave that slight hop taste. There was also sparkling water called Bubly as well. All in all, we had a great time. 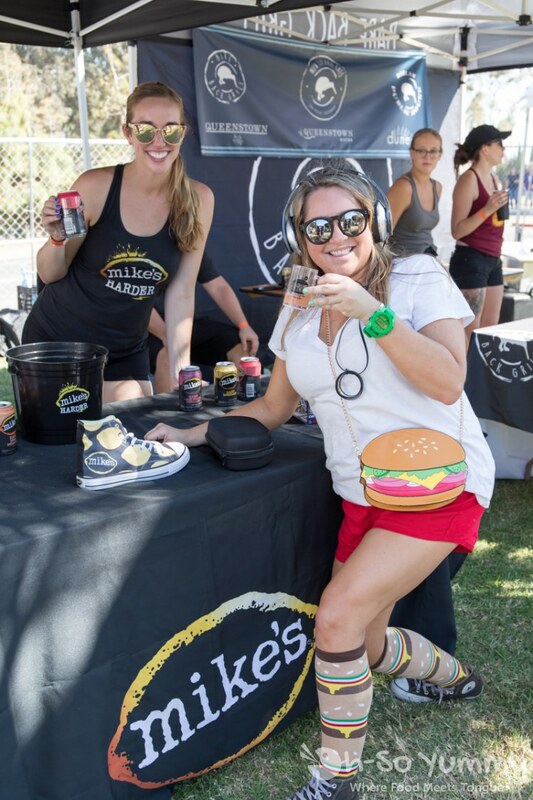 We started out with burgers to satisfy our hunger, then filled ourselves silly with all kinds of drink samples. Most beer pours were approximately 2 ounces so we had more than enough to have a great afternoon! Wonderful to see a few IG friends as well as some of our closer friends. Thanks San Diego Reader for the invitation to media hour! Mary and I discussed using the 2-bite rule, then we move on to the next one! Hubby and I take notes after every couple of samples otherwise things will start blurring together! That was a lot of good looking burgers!